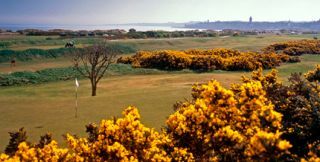 Named in celebration of Queen Victoria’s Diamond Jubilee, this is thought to be the most challenging of the St. Andrews links courses. Since the Jubilee Course lies between the New Course and the coast, sea winds can, and will, affect play. Narrow fairways make accuracy a premium and, unlike other St. Andrews courses, there are changes in elevation on some holes.